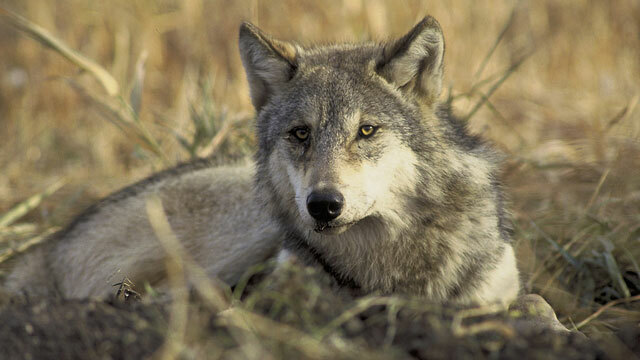 Saturday is the 40th anniversary of the creation of the Endangered Species Act. President Richard Nixon signed it into law on December 28, 1973, saying, "Nothing is more priceless and more worthy of preservation than the rich array of animal life with which our country has been blessed." There are now 2,145 plants and animals on the list. There have been 58 de-listed: 30 that recovered, 10 that went extinct and the balance removed for data errors or changes. Its supporters credit it with protecting species like bald eagles, alligators and California condors. Its detractors criticize it for impinging on private property rights. Here in California, 317 species are protected by the federal Endangered Species Act. (We have a state list, too.) That's second only to Hawaii in number of species. Zoom out to see Alaska, Hawaii and Puerto Rico. Hawaii is an outlier with 431 listed species. Data come from The U.S. Fish and Wildlife Service's list of species in each state based on the published historic range and population data for the species. That means the list includes species that no longer live in a state, but once did (grizzlies in California, for instance). "California has a blessing and a curse in that we have an incredibly diverse set of ecosystems," said Kim Delfino, the California program director at the environmental group, Defenders of Wildlife. "But unfortunately California has also had a lot of activity. Farming and mining, urban development, forestry practices. We've impacted the landscape a lot." The ESA, though imperfect, has done a good job, according to Delfino. "I think that it will continue to be controversial," she said, "but I don't think people will walk away from the underlying idea of why we have an Endangered Species Act." That controversy isn't necessarily over whether or not endangered species should be protected, but rather, what the best way is to protect them. "I think the Endangered Species Act has been a disaster," said Brian Seasholes, a policy analyst with the Reason Foundation, a libertarian think tank. The ESA makes endangered species a financial liability, he explained, because it penalizes private property owners if they harm a protected species or its habitat. "Instead of punishing landowners, let's work with them. Because there's a lot of goodwill out there." Seasholes said he prefers the approach taken by the Conservation Reserve Program run by the U.S. Department of Agriculture, which pays farmers to conserve environmentally sensitive land. The ESA was written in an era when Americans were coming to grips with the effect they had on their environment. Silent Spring had been published in 1962, 11 years earlier. The Cuyahoga River caught fire in 1969. Nixon created the Environmental Protection Agency and signed the Clean Air Act in 1970. The Clean Water Act passed in 1972. Today, it's dawning on many Americans that despite our conservation efforts humans have created an age of extinction, that perhaps we've left the Holocene and entered the "Anthropocene," an epoch shaped by human beings. "I think that for the most part we've done a pretty atrocious job (protecting species)," said Jack Dumbacher, the curator of birds and mammals at the California Academy of Sciences. "It's a real challenge for us to live in harmony with nature. And I think without these kinds of laws we'd be in even worse trouble."